As the UFCs 2019 campaign gets underway, the status of former heavyweight champion and current WWE superstar Brock Lesnar remains up in the air. 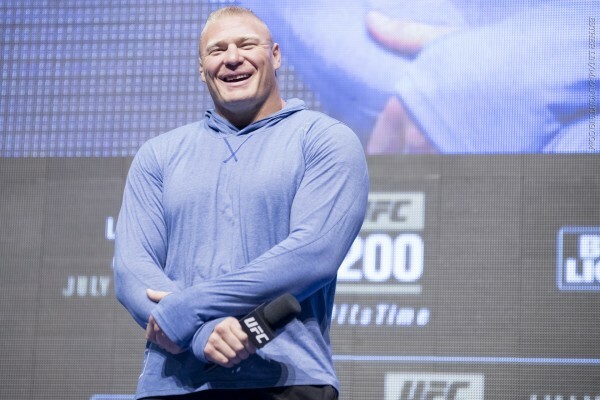 The Nevada Athletic Commission on Tuesday informed MMA Fighting that Lesnar has yet to pay the outstanding $250,000 fine levied against him for a pair of 2016 failed drug tests in relation to his UFC 200 bout against Mark Hunt, meaning he currently remains ineligible to compete in mixed martial arts. At present, Lesnar is being held on an indefinite suspension issued by the NAC as a result of his failed drug tests and subsequent unpaid fine. MMA Weekly reported on Lesnars situation earlier this month. After re-entering the UFCs anti-doping pool in July 2018 with a little over six months remaining on his USADA-issued period of ineligibility, January 8th was intended to mark the earliest date for Lesnar to be granted eligibility by USADA to once again compete. It is worth noting that USADAs period of ineligibility and the NACs are two separate entities, meaning Lesnar will still need to either pay his NAC-issued fine in full or agree on a payment plan with the commission before being allowed to seek relicensure to compete. Lesnar will also be required to submit clean drug tests to NAC officials 30 days, 15 days, and three days out from any potential fight, as well as submit an application for a license 30 days in advance of any contest, per an NAC spokesperson. Lesnar, 41, tested positive for the banned substance clomiphene in multiple drug tests ahead of his July 2016 fight against Hunt. Lesnar initially defeated Hunt via unanimous decision, however the result was later overturned to a no contest. Lesnar formally retired from the UFC in Dec. 2016 and removed himself from the USADA drug-testing pool, which froze his USADA suspension. That is the same suspension Lesnar resumed in July 2018. If Lesnar does return to mixed martial arts in 2019, it will likely be for a title challenge against UFC heavyweight champion Daniel Cormier. DC recently told MMA Fighting that he is still prioritizing a fight against Lesnar, however the likelihood of the bout coming to fruition remains kinda still up in the air. Aside from his overturned UFC 200 result, Lesnar last competed in a Dec. 2011 bout against Alistair Overeem, which he lost via first-round knockout.